Improve yourself and achieve your desired results with the help of one of New York’s most trusted names in cosmetic surgery. We understand undergoing cosmetic enhancement is an important and meaningful decision, and Madison Plastic Surgery promises to help you achieve effortlessly natural beauty with peace of mind. 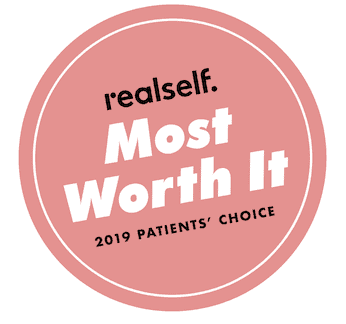 We aim to make your transformative journey safe, rewarding, and deeply satisfying, delivering some of the best plastic surgery NYC has to offer. "My experience with Madison Plastic Surgery was better than I could have ever hoped." "I am a patient of Dr. Tornambe's. I was amazed at how quickly I healed." "I've been a patient of Dr. Tornambe's for almost two years now." "Professional, talented, empathetic, and patient." "Outstanding! Handled melanoma surgery and he did a remarkable job." "Dr. Tornambe answered all of my questions and concerns." "Dr. Tornambe is a superb surgeon. His manner induces calmness and inspires confidence." "Dr. Tornambe was empathetic to my needs, displayed a professional yet candid demeanor." "Dr. Tornambe is such an expert in doing dermal fillers, that the procedure was swift." "I had a great experience with Dr. Tornambe. He was very honest in what he recommended." Recognized by patients and peers as one of the top plastic surgeons in New York City, Robert Tornambe, MD, offers a variety of precision surgical techniques at Madison Plastic Surgery in Manhattan. 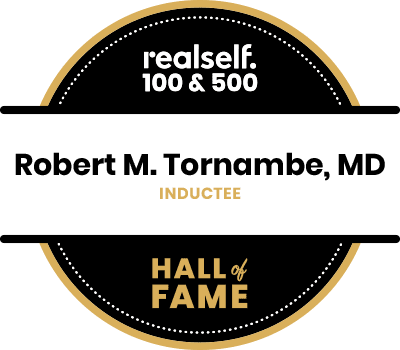 Dr. Tornambe has been named one of the “Best Doctors” in New York Magazine and has appeared on numerous television and radio shows, including Discovery Health, NBC News, and the popular Extreme Makeover show on ABC. Speaking throughout North America and Europe on the latest advances in aesthetic medicine, Dr. Tornambe is also a frequent guest lecturer. He regularly authors articles and blog posts that appear in regarded medical journals and popular media outlets, such as Oprah.com and Huffington Post. Dr. Tornambe also published The Beauty Quotient Formula, a book that discusses lifestyle choices, confidence, and contentment that contributes to one’s overall attractiveness. Dr. Tornambe completed his first residency in general surgery and his fellowship training in hand surgery at Cabrini Medical Center in New York City. He completed his second residency in plastic surgery at University of Texas Health Science Center in Houston. Dr. Tornambe also underwent fellowship training in Nashville, Tennessee, in cosmetic and reconstructive breast surgery with the renowned plastic surgeon, G. Patrick Maxwell, MD. In addition to his fellowship in the American College of Surgeons, Dr. Tornambe is also a diplomat of the American Board of Plastic Surgery. He values a less-is-more approach in cosmetic surgery and tailors each procedure to the patient’s individual anatomical needs and personal desires. Dr. Tornambe also focuses on the entire patient, and not just the procedure, and believes in building long-term, honest relationships with his patients. "Dr. Tornambe has truly been amazing from beginning to end!! My results are breath taking and I am always getting compliments!" "This was the type of place where I felt treated like a person not just another patient. Dr. Tornambe was welcoming and attentive." "Her results are fantastic we definitely recommend him to anyone looking to get work done. Prices are fair, good friendly environment, and staff." "I have recommended friends and family to the office with 100% confidence in Dr. Tornambe's ability and their satisfaction." "Dr. Tornambe has preformed both cosmetic and medical procedures for me over the last 14 years and has met every expectation." "Dr. Tornambe is a caring and highly competent plastic surgeon. He worked on me 25 years ago and I still get compliments about how young I look." "Dr. Tornambe...does beautiful work. His friendly bedside manner, knowledge and years of experience make him one of New York's finest!" "I would highly recommend Dr. Tornambe for either a elective or necessary procedure. The confidence I felt after meeting with him made my surgery alot less stressful." "Dr. Tornambe promotes good health in general and goes by a less is more philosophy. He offers great advice for looking and feeling good about yourself."